The high-level closed-door government meeting between China and Taiwan on Tuesday 11 February 2014 ended in a cordial tone. While the meeting did not result in a concrete agreement, it is nevertheless significant. It was the first time China recognized Taiwan’s top government officials on matters across the Taiwan Strait, potentially opening the door to political dialogue with Taiwan. Relations between China and Taiwan took a step forward, after the first high-level formal government meeting between the two sides ended in a cordial tone, potentially opening the door to the political dialogue for which Beijing has been pushing. Heads of Taiwan's Mainland Affairs Council and China's Taiwan Affairs Office met on Tuesday [11 February 2014] in China's eastern city of Nanjing, the capital of the Nationalist government before it was ousted by Communist Party forces and retreated to Taiwan in 1949. The two have been governed separately ever since. 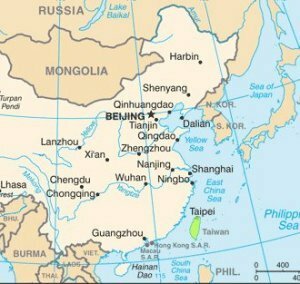 China considers Taiwan a breakaway province, while the self-ruled island sees itself as an entity separate from the Mainland. As expected, the two-hour closed-door meeting didn't result in a concrete agreement. However, political analysts said the significance of the meeting was that it marked the first time China recognized Taiwan's top government officials on matters across the Taiwan Strait, indicating Beijing is eager to start a political dialogue with Taipei. Officials handling cross-Strait affairs have previously met but as representatives of unofficial bodies, not in their official government capacities. To some political observers, Tuesday's discussions may have set the stage for a meeting between Chinese President Xi Jinping and his Taiwanese counterpart Ma Ying-jeou in future. Wang Yu-chi, head of Taiwan's Mainland Affairs Council, said both sides exchanged views on setting up respective representative offices on each other's territory. They also spoke about the need to create a "more convenient" environment for Taiwanese journalists in China, as well as Taiwan's bid to join global trade groups such as Trans-Pacific Partnership, he said. The meeting "has a positive significance in promoting the normalization of interactions between the two governments." Zhang Zhijun, head of China's Taiwan Affairs Office, said the two sides "agreed to promote cross-Strait relations on the basis of the 1992 Consensus and expect the communication mechanism to improve exchanges, understanding and mutual trust," according to China's official Xinhua News Agency. The so-called 1992 Consensus is an understanding between Taiwan's ruling Kuomintang and China's Communist Party agreeing on a "One-China" policy, though it allows each side to define "One China" according to their own interpretation. "The important significance of the meeting is that it sets a precedent for how future cross-Strait negotiations will be formatted," said Chang Kuo-cheng, a professor of National Taipei Medical University. Since the 1949 split, communications between the two sides have been carried out via semiofficial organizations, namely Taiwan's Straits Exchange Foundation and China's Association for Relations Across the Taiwan Straits, in the absence of official contacts. Mr. Zhang said such semiofficial channels will remain in place, although the two sides in the future could meet officially, such as during the Nanjing meeting. China has recently shown signs it wants discussions to move beyond economics to political issues. China's leader Mr. Xi told a Taiwanese presidential envoy in October that China won't let Taiwan indefinitely put off talks on political issues. But the Taiwanese president Mr. Ma said in November  that the time wasn't yet ripe for the island to delve into political matters with China. Any major political agreements, such as a peace treaty with the Chinese must first gain support of the Taiwanese public through a referendum, he said. Although Mr. Ma has assuaged cross-Strait tensions and boosted bilateral trade since he took office in 2008, Beijing hasn't revoked a threat to take the island by force, if necessary. For its part, Taiwan has close military ties with the U.S. While Taipei has embraced growing commercial and cultural engagements with China, the subject of political talks remains a sensitive issue on the island, as many Taiwanese fear closer political and trade ties with Beijing could undermine Taiwan's democracy and economy. Taiwan's legislature is still unable to pass the service-in-trade pact signed with Beijing last year, due to the strong opposition by some local business groups which claim widening access for Chinese investments in Taiwan may hurt local companies.